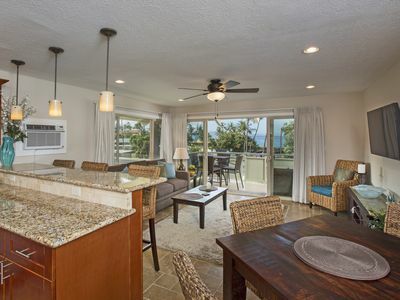 This lushly landscaped first floor condo in the newest building at Maui Kamaole (Fern building) is sunny, bright and very spacious, furnished with the discriminating adult in mind... luxury furnishings with original art & generous Corian counters in full kitchen complete with everything you might need. 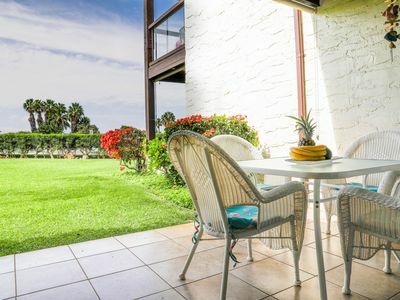 The superb location of this unit is quiet and peaceful, an end unit with extra windows looking out over beautifully landscaped garden areas. 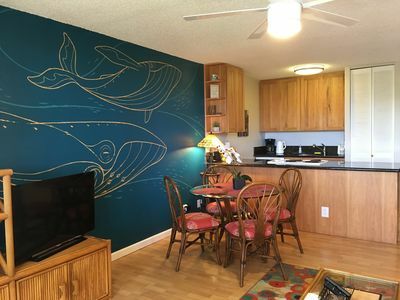 The living room has new bamboo hardwood flooring and includes a comfortablequeen-size sofabed and flat screen TV and DVD player, wifi & cable included at condo. 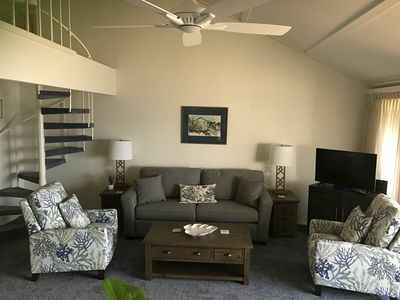 Comfortable queen-size bed in the master bedroom and double sink bath with private tropical courtyard for meditation or morning reading or sunning. 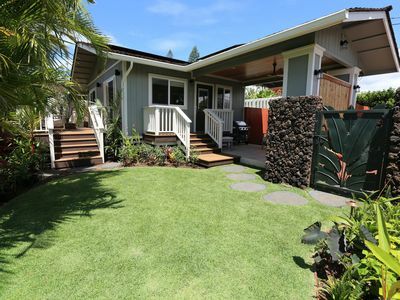 Second full bath includes glass shower. 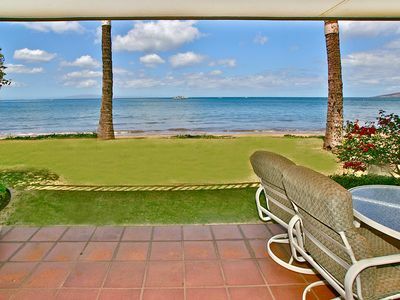 There are two lanais, one off the living room, tiled and landscaped with tropicals, and a quiet private courtyard off the bedroom. 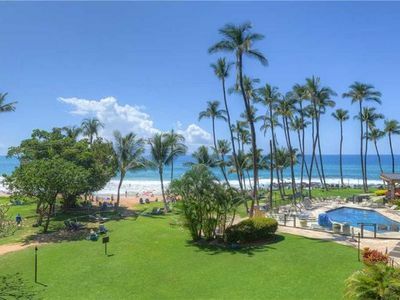 I have provided beach chairs & towels, boogie boards, cooler, and reading materials! 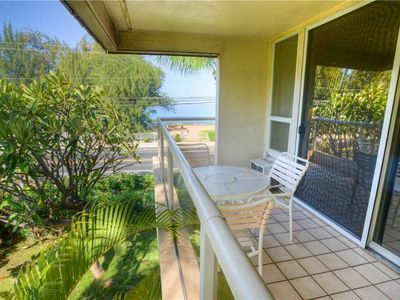 This 849 square foot condo (not including the two spacious lanais! 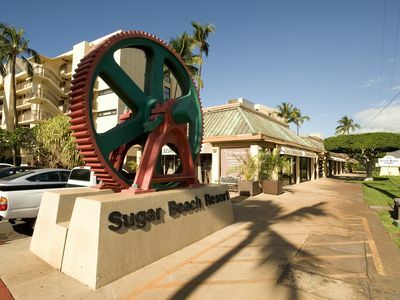 )is just a short walk to the tropical rock swimming pool and waterfall, sand-bottom jacuzzi, and picnic areas complete with several barbecue grills. 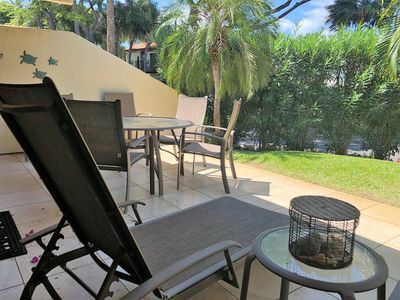 There is even a gas barbecue grill right outside your door. 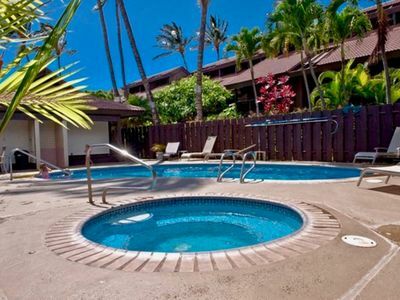 There are two tennis courts on the property, as well as a second pool and jacuzzi. 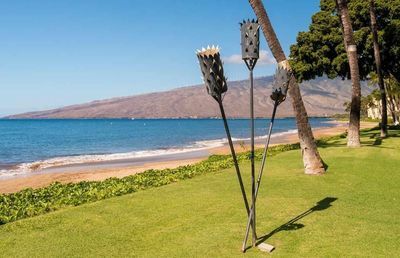 Drive 5 minutes to Wailea Resort shopping, world class golf, spas and tennis; walk two minutes to beautiful white sand beaches of Keawakapu, Wailea, and Kamaole Beach Parks. 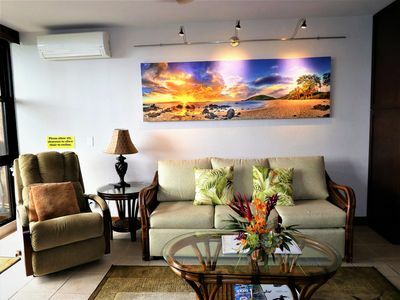 Experienced scuba divers may link up with private charters just a two minute walk from your condo. 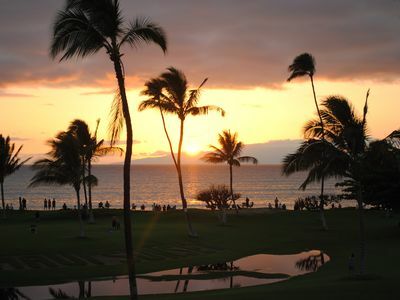 Maui Kamaole is known for its stately tropical grounds, low density, and serene atmosphere respecting adult needs and privacy. 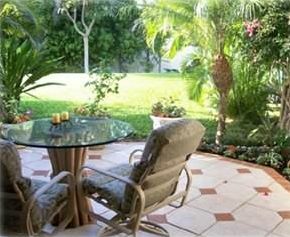 A private entrance leads you to complete relaxation and quiet. 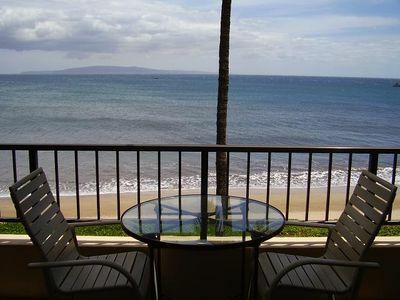 I know you will return year after year once you experience Maui's beauty and my beautifully appointed condo. 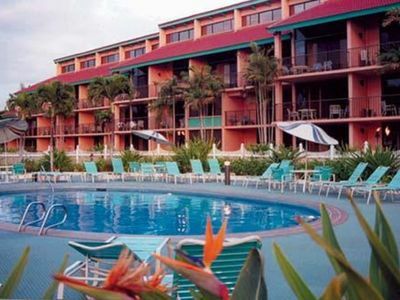 Please note: Maximum occupancy is limited to three, non-smokers only. 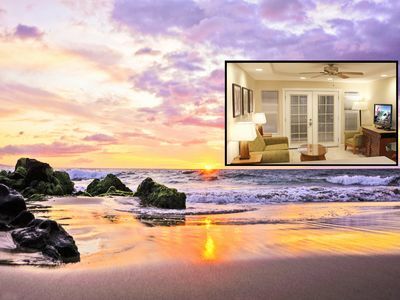 Gorgeous 2BR Condo with Fantasic Ocean View! 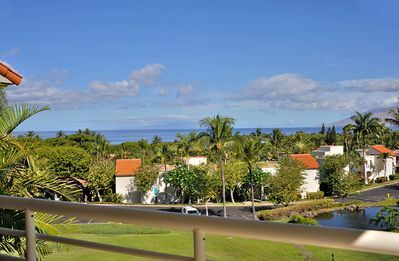 Maui Vista Complex, right across beautiful Charley Young Beach! 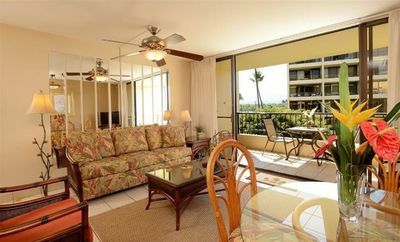 Palms at Wailea #1508, Panoramic Ocean View 2Bd/2Ba, Sleeps 4, Great Rates! 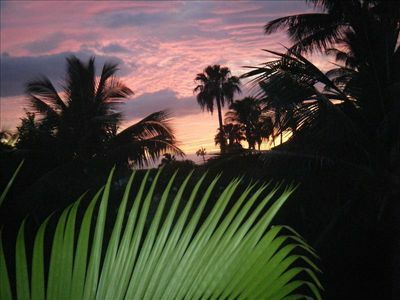 Quiet Tropical Resort - Just Steps Away From The Beach!